Pallant Digital understands that your privacy is important to you and that you care about how your personal data is used and shared online. We respect and value the privacy of everyone who visits this website, https://pallant.digital (“Our Site”) and will only collect and use personal data in ways that are described here, and in a manner that is consistent with Our obligations and your rights under the law. “We/Us/Our” means 5 Fathoms Ltd, trading as Pallant Digital, a limited company registered in England under company number 9822815, whose registered address is Hollybrook House, 4 East Pallant, Chichester, West Sussex, PO19 1TR. Our Site is owned and operated by 5 Fathoms Ltd, trading as Pallant Digital, a limited company registered in England under company number 9822815, whose registered address is Hollybrook House, 4 East Pallant, Chichester, West Sussex, PO19 1TR. Our VAT number is GB224418429. Our Data Protection Officer the wonderful Simon Batchelar, and can be contacted by email at [email protected], by telephone on 03300241050, or by post at Hollybrook House, 4 East Pallant, Chichester, West Sussex, PO19 1TR. If you submit a form on our website and provide any of the above Personal Data you are agreeing for us to process this using a Third Party provider in order to respond to your request. This will involve sending you marketing emails and storing your details in a CRM system. You can request that your data is removed from our systems at any time using the GDPR Request page. You can also unsubscribe from our emails at any time with one click of the unsubscribve link. With your permission and/or where permitted by law, We may also use your data for marketing purposes which may include contacting you by email, telephone with information, news and offers on Our services. We will not, however, send you any unsolicited marketing or spam and will take all reasonable steps to ensure that We fully protect your rights and comply with Our obligations under the GDPR and the Privacy and Electronic Communications (EC Directive) Regulations 2003. Third parties including Google Analytics, Google AdWords whose content appears on Our Site may use third party Cookies, as detailed below in section 13. Please refer to section 13 for more information on controlling Cookies. Please note that We do not control the activities of such third parties, nor the data they collect and use and advise you to check the privacy policies of any such third parties. 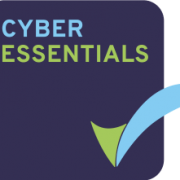 Maintaining our Cyber Essentials Certification. You have the right to ask for a copy of any of your personal data held by Us (where such data is held). Under the GDPR, no fee is payable and We will provide any and all information in response to your request free of charge. Please use this form to request access to your personal data.